Sudden cardiac death (SCD) is the primary cause of death in youth sports; however, there is currently no gold standard screening tool for SCD.1 Because of this, basic pre-hospital emergency action plans must be put in place in case of a potentially fatal event. First, public buildings and locations should have designated areas where an automated external defibrillator (AED) can be readily accessible. The device needs to be maintained by changing the battery and pads when appropriate (i.e., check expiration dates annually). An AED, if maintained and applied appropriately by following the instructions on the device, can be a matter of life or death. The sooner the device is applied from the time of collapse, the greater the chance of survival. For every minute defibrillation is delayed the chance of survival decreases by ~10%. 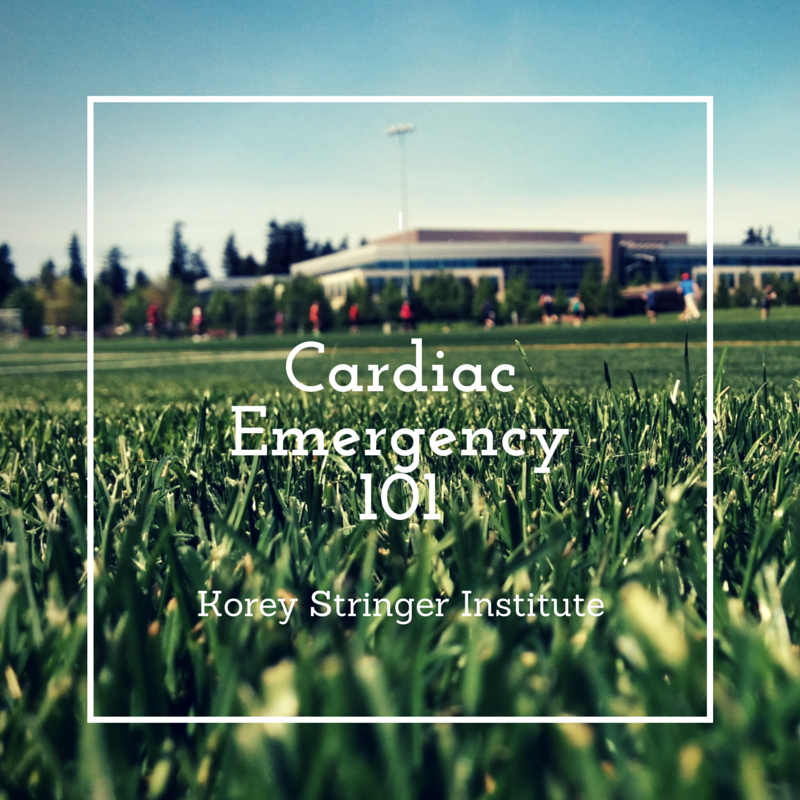 In the event of a sudden cardiac arrest (SCA), one needs to follow these three rules: (1) call emergency medical services, (2) attach an AED, and (3) perform cardiopulmonary resuscitation (CPR) if certified and qualified to do so. Average arrival time for emergency medical services is estimated to be 8-12 minutes, so the application of an AED is critical for survival. AEDs must be applied in the event of a SCA to defibrillate the heart for a chance of survival. 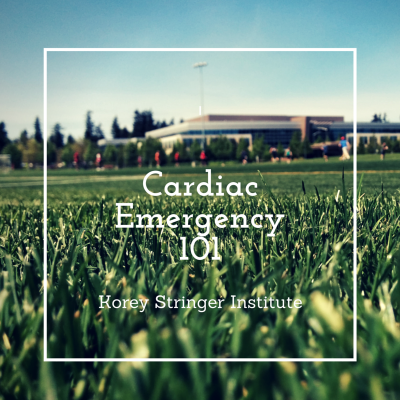 Every public location, including outdoor facilities, should have an AED within a close proximity. When was the last time you checked where the closest AED is located from your practice facility/office/game venue? Shabana A, El-Menyar A, Gehani A. Sudden cardiac death in athletes: where do we stand. Crit Pathw Cardiol. 2013;12(3):161-169. CPR & First Aid Emergency Cardiovascular Care. Am Heart Assoc. 2015. Sayre MR, Berg RA, Cave DM, Page RL, Potts J, White RD. Hands-Only (Compression-Only) Cardiopulmonary Resuscitation: A Call to Action for Bystander Response to Adults Who Experience Out-of-Hospital Sudden Cardiac Arrest A Science Advisory for the Public From the American Heart Association Emergency Cardiovascular Care Committee. Circulation. 2008;117(16):2162-2167. It was more than a coincidence that a pair of identical male twins in England both suffered heatstroke “in relatively cooler conditions” while running in the London Marathon, a new case report suggests. During the 26.2-mile event, the 26-year-olds were both running in the race as “pacers” for the other competitors. One twin collapsed at the 19-mile mark, and the second twin collapsed at mile 21, according to the case report, published online Feb. 5 in the journal BMJ Case Reports. Rushed to the medical tent, both men were diagnosed with exertional heatstroke. Exertional heatstroke is “an overwhelming of the body’s thermoregulatory system,” said Douglas Casa, a professor of kinesiology and director of athletic training education at the University of Connecticut at Storrs, who studies exertional heatstroke and experienced it himself as a teenage runner, but was not involved in the twins’ case. Exertional heatstroke happens when a person’s body generates more heat than it can dissipate, he said. 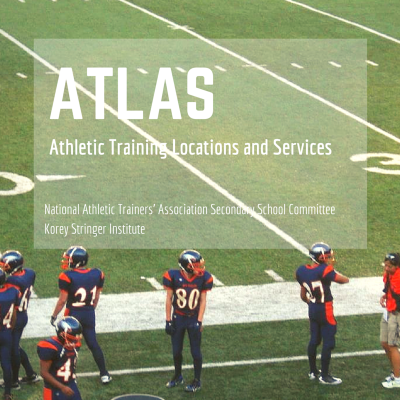 Although this type of heatstroke is more likely to occur in athletes during the summer, it can happen even when temperatures aren’t that hot. During this marathon, held in the early spring, the race-day temperatures were between 54 and 59 degrees Fahrenheit (12 and 15 degrees Celsius), the case report said. The twins were experienced runners, and both had previously run the marathon in under 4 hours. They had trained properly for the event, were properly hydrated and had enough sleep before its start, yet neither of the brothers had run it as an official race pacer before. In this role, they were asked to run with a partner while wearing a nearly 6-pound backpack with a flag attached to it, making the men easy to spot on the course by other runners aiming for a particular pace and finishing time. One twin was pacing the marathoners hoping to complete the race in 4 hours and 30 minutes, while the other twin was pacing runners looking to cover the course in 4 hours and 45 minutes. But at mile 17, the faster-paced twin was struggling to keep up with his racing partner, and by mile 19, he collapsed. Volunteers at the medical tent noted that the man was drowsy and confused upon his arrival, but responsive when spoken to. His rectal temperature was about 106 F (41 C), a symptom that confirmed a diagnosis of exertional heatstroke, which occurs when rectal temperatures are higher than 104 F (40 C) after a victim collapses. Treatment began immediately to rapidly cool the man down, including removing his clothing, dousing his body in cold water and wrapping him in a cold wet sheet. As his body started to cool down, he also developed muscle cramps in both legs. Within 30 minutes, the man’s body temperature had dropped about 5 degrees, his cramps had stopped, and he was alert. An hour after he was brought to the medical tent, he was discharged, the case report said. Meanwhile, his slower-paced brother collapsed at the marathon’s 21st mile. His rectal temperature was 105 F (40.5 C) upon arrival at the medical tent, and he also had muscle cramps in his legs. After receiving the same treatment as his twin to cool his body down, he, too, was released after an hour when his condition had improved. At least 14 runners including the twins experienced exertional heatstroke during this marathon, which had more than 38,000 participants, according to the case report. The most likely explanation for why both twins had exertional heatstroke during the race, despite cooler temperatures and their proven athletic capabilities, was the role as pacers, Casa said. There is usually some extra factor that explains the cause of exertional heatstroke in experienced athletes who are well trained, he said. Those factors could be an illness, the use of a new medication, running in a new environment, a lack of sleep, dehydration, a prior history of heatstroke or maintaining a new pace. In this particular case, the X-factor is that the twins were race pacers for the first time, said Casa, who is chief executive officer of the Korey Stringer Institute, a research facility at the University of Connecticut that studies heat-related illness, and is named for the former Minnesota Vikings offensive lineman who died of exertional heatstroke during his football team’s training camp in 2001. In this new role as race pacers, the twins might have been pushing harder than usual and feeling more pressure to maintain a certain pace, Casa told Live Science. What’s more, the men were unable to protect themselves in ways they might have in previous marathons or training runs, by slowing down when they felt fatigued, he said. The twins probably ignored their body’s warning signs, such as thirst, headache and dizziness, which they would normally listen to if they were not race pacers, Casa said. He also said he did not think carrying the backpack that pacers were required to wear made much of a difference to their condition. In addition to being first-time race pacers, the twins probably had a genetic predisposition to exertional heatstroke, Casa said. “I bet they have the trait for malignant hyperthermia,” he said, which is an inherited skeletal muscle disorder that some research has suggested may be a genetic trait more common in people prone to exertional heatstroke. The extremely mild temperatures during the race were also a unique factor in this case report, Casa said. If the weather had been hotter, the twins’ symptoms could have shown themselves earlier or may have been more extreme, Casa said. Exertional heatstroke may cause coma or be fatal, he said. After the race, both twins took a week off to rest before gradually returning to running. Three months later, one twin successfully completed a 69-mile ultra-endurance run, and the other twin had his best time ever in a 10K race, according to the case report. L.A. Marathon organizers had hoped to avoid the kind of run-in with warm weather that could lead to heat exhaustion and dehydration. For the second year in a row, they moved up the starting time to give runners more time to enjoy the cool morning air. And they are holding the marathon weeks earlier than normal, which would ideally line up with cooler seasonal temperatures. But despite the changes, Mother Nature isn’t cooperating. Temperatures are expected to be in the 80s on Saturday for the Olympic trials and again on Sunday for the traditional marathon – both unseasonably warm. It was 90 degrees at the finish line of the 2015 L.A. Marathon, a race that sent more than 30 people to the hospital, Ault said. He expects a similar result for this year’s race. Runners should rotate between drinking water and Gatorade during the race, he said. Because Saturday’s Olympic Trials race begins at 10:06 a.m. – more than three hours later than the start of Sunday’s open race – it will end in the midday sun. Those are weather conditions even elite marathoners aren’t accustomed to. As a result, the race is likely to be a slow, tactical affair with few runners willing to risk buckling in the heat. In recent weeks some of the approximately 375 runners entered in Saturday’s race moved to hot-weather training sites such as Florida and San Diego to prepare for the conditions. “A heat-acclimated runner can expect to perform 2 to 3% better in a warm marathon, and up to 5% better if the weather turns even hotter,” Douglas Casa, a heat physiology expert and chief executive of the Korey Stringer Institute at the University of Connecticut, told Runner’s World magazine. But the warm temperatures could also help the U.S. choose a more competitive team for Rio de Janeiro, where August temperatures are expected to be in the high 70s. Eight years ago in Beijing the men’s Olympic marathon was run in conditions that were so hot, humid and smoggy that only one athlete covered the second half of the race faster than the first. But while the weather will affect how the trials race is run, it won’t pose the same health risks for elite marathoners as it would for others since they are not only superbly conditioned but also more attuned to their bodies’ response to harsh conditions, experts say.